SO here goes Part Two of my Childrens Wallpaper Edit. 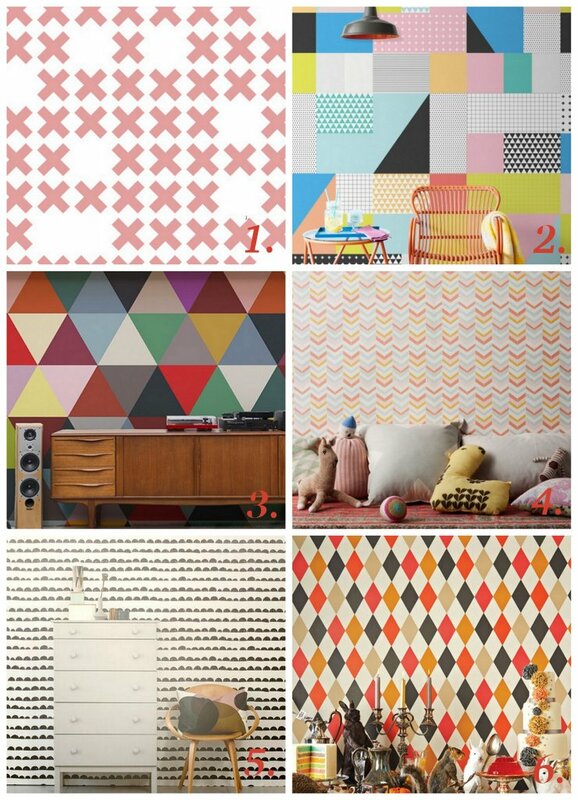 I am completely blown away by the choice of wallpaper out there and completely baffles me to see how people can still by those horrendous rolls of paper on selection at hardware stores when there is so much choice available to you on the internet. You may not fancy the ones I have selected in Part One or here in Part Two but I hope I have guided you to some amazing online retailers from around the world where no doubt you will find the most perfect wallpaper for your children's bedrooms. 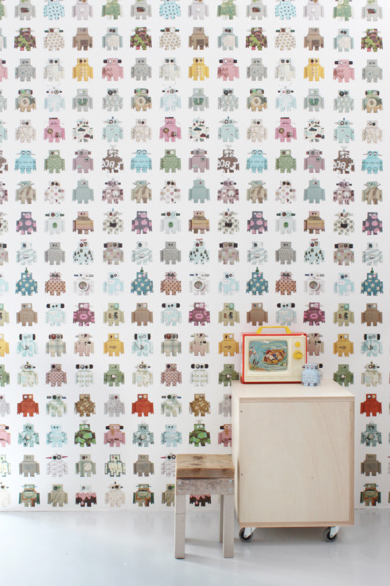 Don't fancy fire engines or flowers on your walls tben give your kids some fun wallpaper in the form of robots and dolls. 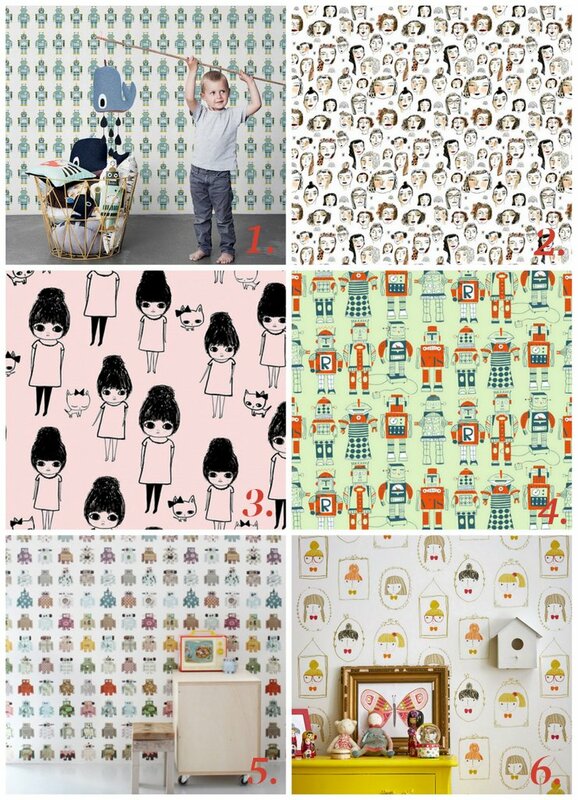 These wallpapers are great for childrens rooms that you want your child to grow into and they will equally love these as teenagers. I personally know from experience that every teenager will want to redecorate when they get to the point of ' i am too cool for this' but heres to hoping you can keep these hanging for many years to come and the word 'dated' or 'old' will never be an issue. Already stockpiled on Mid century furniture, or absolutely want to keep a vintage feel to your house then these kids wallpapers are sure to bring back the memories of your own childhood or in my case the memories of my parents' childhood. I don't even want to imagine what the wallpaper from the 80's would look like and lets just say interiors from the 80's is something that should never come back into fashion - EVER! 1. Hydrangea by Loboloup // 2. Pet Sounds by Mini Moderns in Harvest Orange // 3. Harlequin Wallpaper in Mint by Ferm Living // 4. Logpile Wallpaper by Roddy & Ginger // 5. Dotty Wallpaper at Ferm Living // 6. 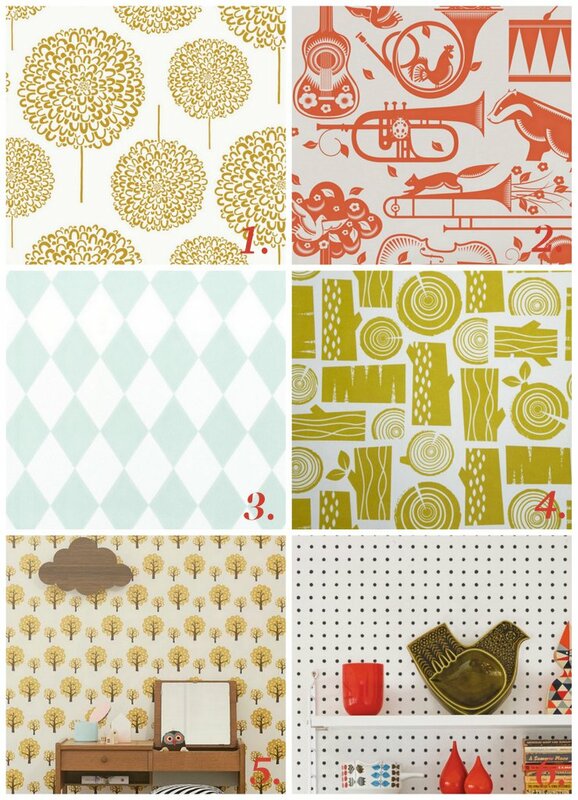 Peggy Wallpaper by Mini Moderns in Snow. The vintage wallpapers have my heart! I want my kids to be surrounded by quaint, whimsical images and the ones you have shared are certainly magical looking. I agree that you can't find such good ones in stores; I will only buy them online from now on!